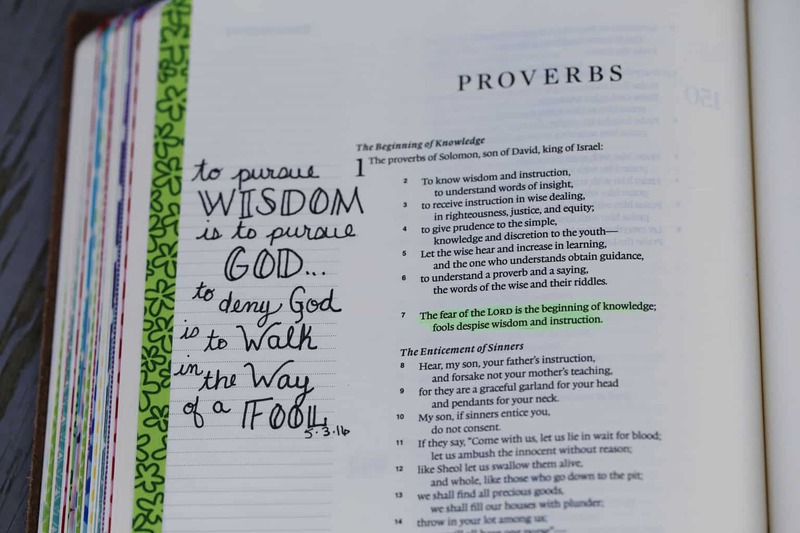 When it comes down to it, Bible Journaling has nothing to do with how beautiful your pages are and everything to do with how the journaling on your pages remind you of the path God is leading you down as you read your Bible, meditate on scripture, and pray. I happen to be the least artistic person ever. If I can Bible Journal, I promise you can too! Search for hand-lettered fonts on Pinterest or google images. To choose what font you’d like to try, think about the words you are writing and how they make you feel. Your font choice will set the tone of your Bible’s margin. I choose loopy, light, and/or cursive fonts for words like love and faith, while I choose thick, heavy, and/or blocky fonts for more powerful words and feelings. *Tip – Always sketch out what you’d like to journal with a pencil. That way you can erase and start over if your sizing isn’t quite right. When you are happy with the pencil, go over the pencil lines with a good pen (like these). Give the ink a few minutes to dry, then gently erase the pencil lines with a good artist’s eraser. After you choose font, think about the words you will write. Give your margin balance and movement by drawing the words you want to emphasize larger than other words. A really important word may take up an entire line all by itself. Since you are using pencil first, don’t be afraid to play with size and spacing. You can also practice on a scrap sheet of paper. Once your words are on the page, its time to think about color. Again, think of the mood and feelings that come with your words- calm, happy, sad, powerful. Sadness may be portrayed by dark colors, while light colors will demonstrate joy and lightheartedness. Choose one main color, then consider secondary colors. Looking at a color wheel or searching color schemes on the internet can help with your choice. 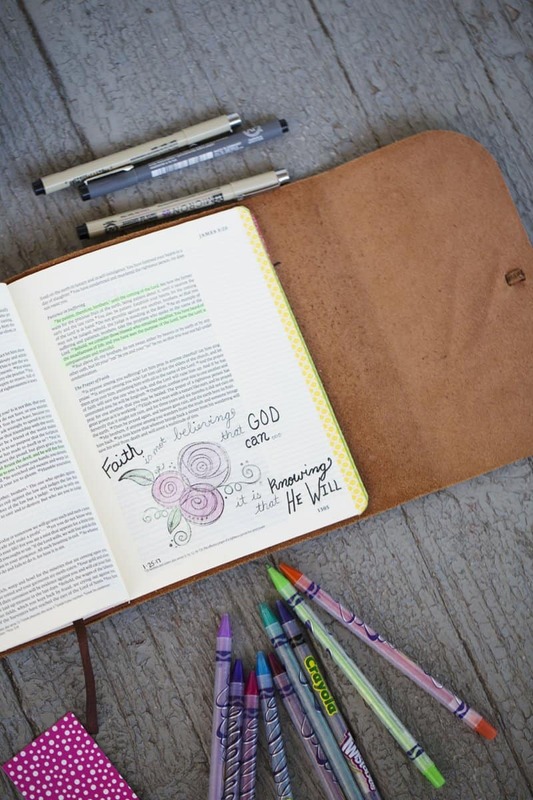 I recommend choosing just a few colors as you begin Bible journaling. Add color to your page by coloring important words, adding doodles to your design, or lightly shading behind the words. Finally, use embellishments to complete your page. Think about adding stamps, stickers, or washi tape to your page. 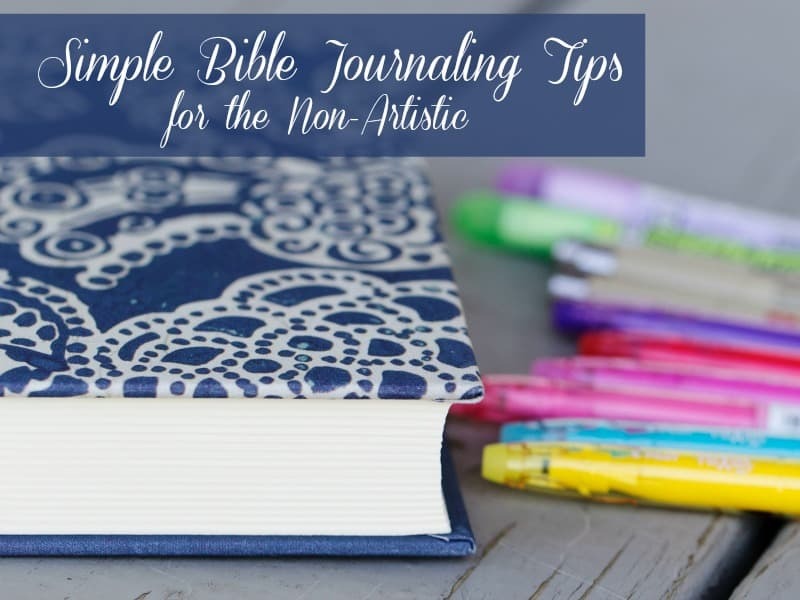 With these simple Bible journaling tips, a simply journaled Bible verse can be just as beautiful and meaningful as the most artistically journaled page. 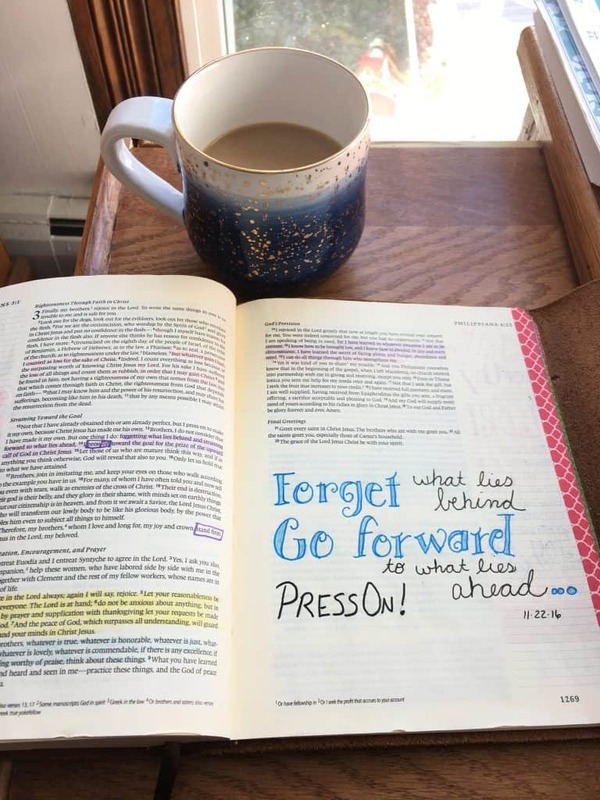 Grab your favorite Bible Journal and get started! 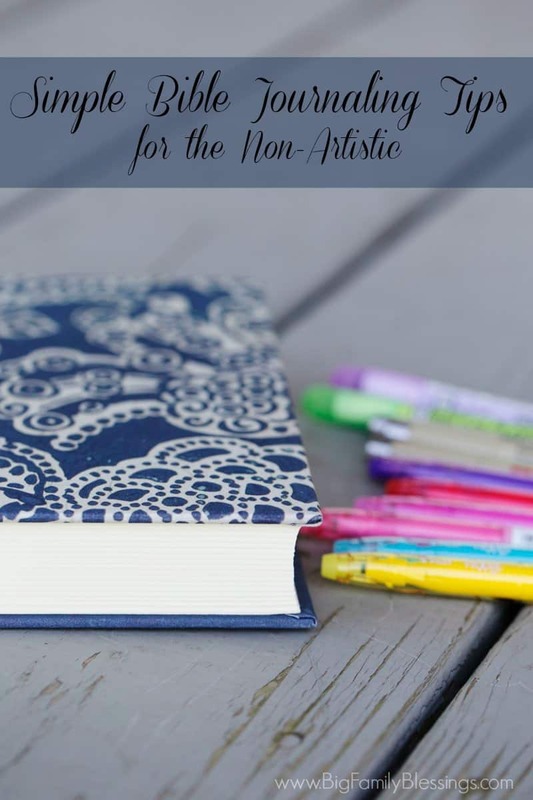 If you don’t have any Bible journaling supplies yet, here’s how you can get started Bible Journaling for under $50. What a wonderful legacy you are leaving for your daughter!